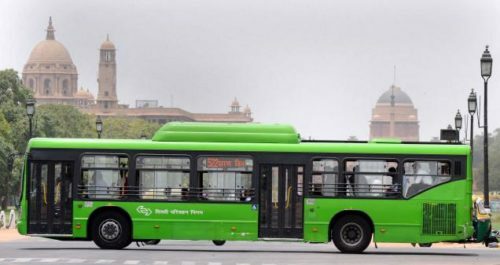 New Delhi: DTC is set to go digital. In two months, the state transport utility is planning to roll out a smart card for buses, which can be used in the Delhi Metro as well. On Friday, DTC took the first step by using the Delhi Metro card on the electronic ticketing machines installed on its buses. As part of the project, a real-time transaction was carried out with a Metro card on the ETM of a DTC bus. According to the integrated system, the data of transaction will go to the central clearing house (CCH) at a particular time every day automatically, so that the transactions of the two agencies are segregated and sent to specific accounts. “Since DMRC cards are prepaid at present, the same system will be used in ETMs in DTC as well,” added Minhas. The common mobility card project has been in the pipeline for several years now. It was first mooted during the 2010 Commonwealth Games, but couldn’t take off because of a variety of issues, including lack of clarity over how the revenue of the two transport bodies will be segregated. DTC started installing ETMs on its buses earlier this year and till now, has got the electronic ticketing machines in over 62 per cent of its fleet. The rest of the buses are expected to be equipped with ETMs within a few months, said Minhas. He added that the DTC was hoping to launch the common smart card in two months, making it possible for commuters to use the Metro card on government buses.